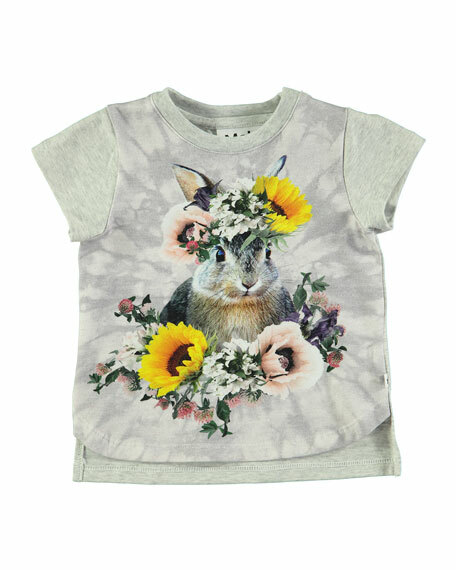 Molo "Erin" T-shirt with bunny print at front. Contrast, heathered sleeves, collar and back. For in-store inquiries, use sku #2489318.